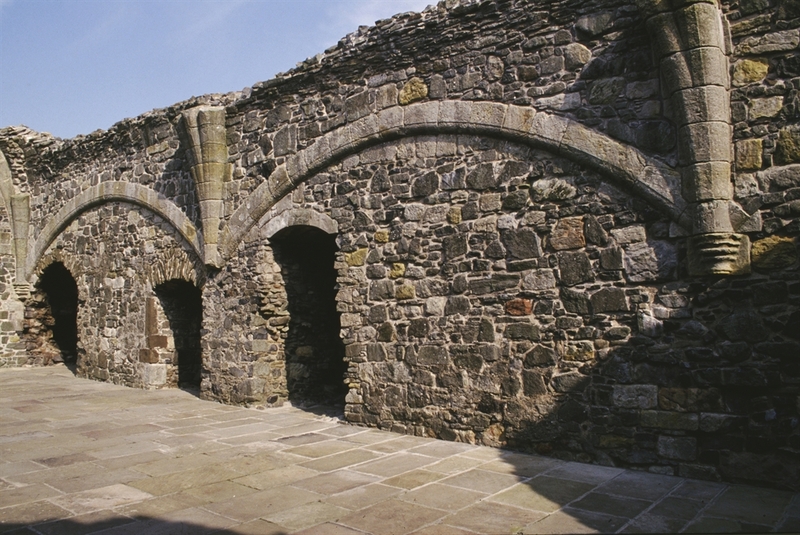 Built in 1371, Dundonald Castle is a splendid example of a medieval tower house, with a fine barrel-vaulted ceiling in the lower hall. Sitting on a prominent hilltop in Dundonald village, Dundonald Castle commands fine views over the Firth of Clyde. The castle was built on the site of earlier castles belonging to the High Stewards of Scotland and can be regarded as the cradle of the Stewart Dynasty. Explore the high-vaulted halls and gloomy dungeons of this splendid stronghold, perched on a hill above the village. The main tower was built in the 1370s by King Robert II to mark his succession to the throne. Its heritage is explored in the visitor centre. The castle visitor's centre includes an exhibition illustrating the history of the site and a display of some of the artefacts found during archaeological excavations on the hill. There is also a souvenir shop and a small cafeteria. Although pets are welcome, they are unfortunately not allowed inside the Visitor Centre for hygiene reasons. There are scenic walks through the woods on the hillside to the west of the village within the vicinity of the castle. Guided tours for group parties can be arranged provided prior notice is given. There is Level Access for the Visitor Centre only, and those wishing to visit the castle, who have limited mobility, would perhaps find it difficult to climb the hill to the castle. Also, inside the castle the top floors are only accessible via stairs. From Glasgow and central Scotland, follow the M77 all the way to Kilmarnock and pick up the tourist board signs. With the M77 Dundonald is around thirty minutes from the Glasgow city centre. From the airport or the ferry terminal drive towards Irvine (A78) and follow the tourist signs for Dundonald Castle. Stagecoach buses from Ayr, Prestwick, Troon, Irvine, and Kilmarnock, (nos 24, 10, & 21) all stop nearby.